Throw pillows: Your most important home accessory. 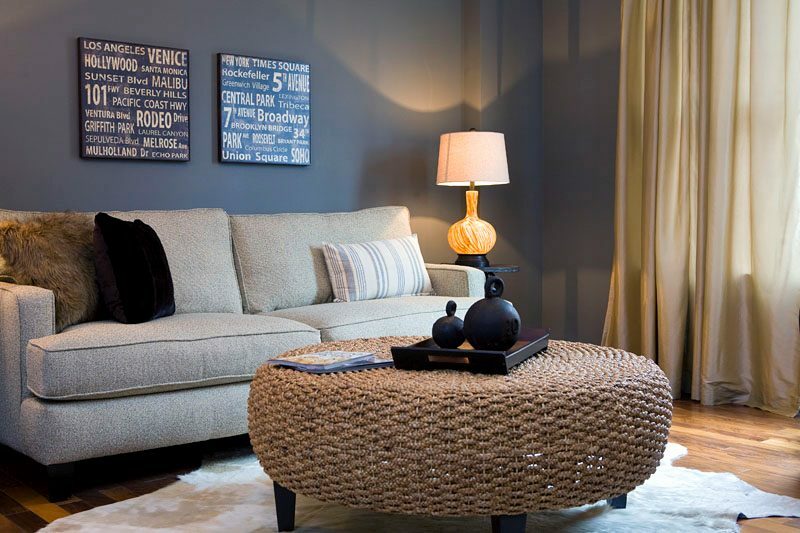 Throw pillows: Your most important home staging accessory. Throw pillows may be the most important home accessory you can own. Pillows provide pops of color, texture and luxury on a small budget. Because the price tag is low, they can be traded out for the season or trend changes. Neutral or plain white sofas, the chameleon of any home stager’s inventory, are easily transformed. The decorating budget should be slanted so that large items, like sofas, tables and artwork – things that will need to last for decades, receive the bulk of the resources. Pillows, on the other hand, should show off your personality. Adding whimsical touches or layers of patterns is a particularly hot trend in 2012. Showcasing your love of pets is another. Stores like Uncommongoods now provide an opportunity to really personalize your pillows and show your style. Artistic prints and colorful patterns are just the beginning. Now pillows can be custom made to reflect births, marriages, pets or special family locations. Yes. Modern spaces need throw pillows too, though usually less of them. Looks for graphic, neutral or solid colored pillows. Rustic and vintage are home fashion forward trends to watch. Grey is the new neutral. Look for linen or oatmeal color accents pieces to keep a fresh contrast.